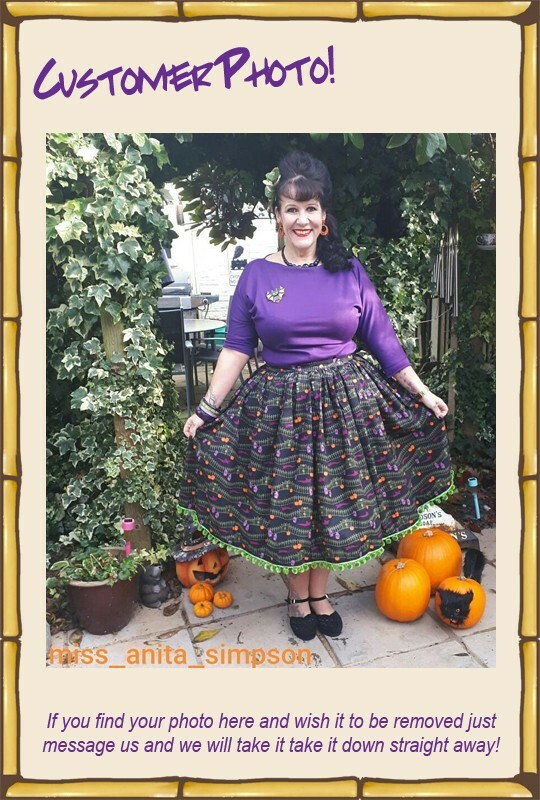 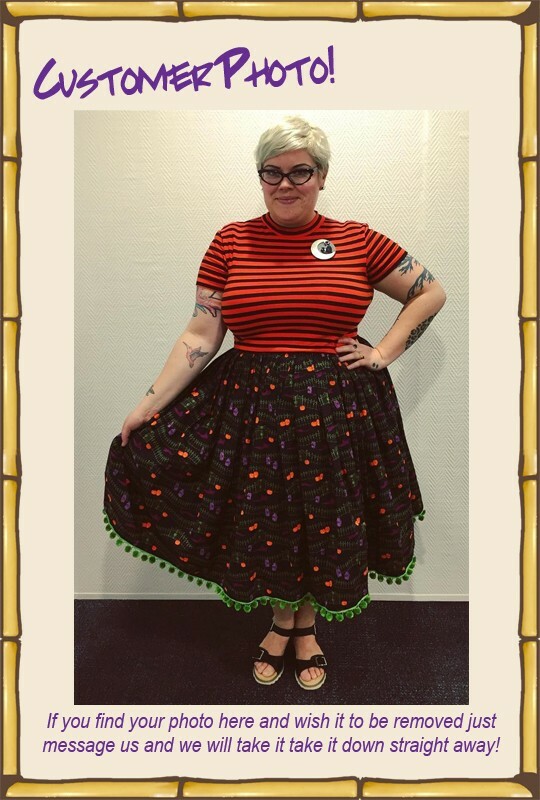 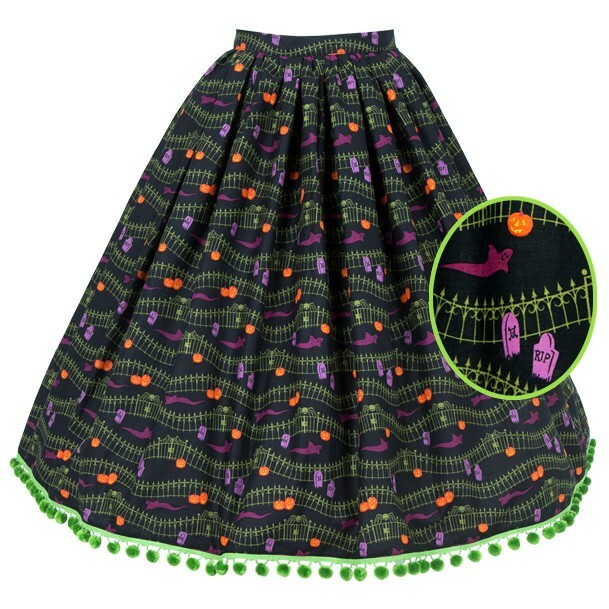 Gathered knee length skirt made from a graveyard print with pumpkins, ghosts and creepy railings, trimmed with pom poms! 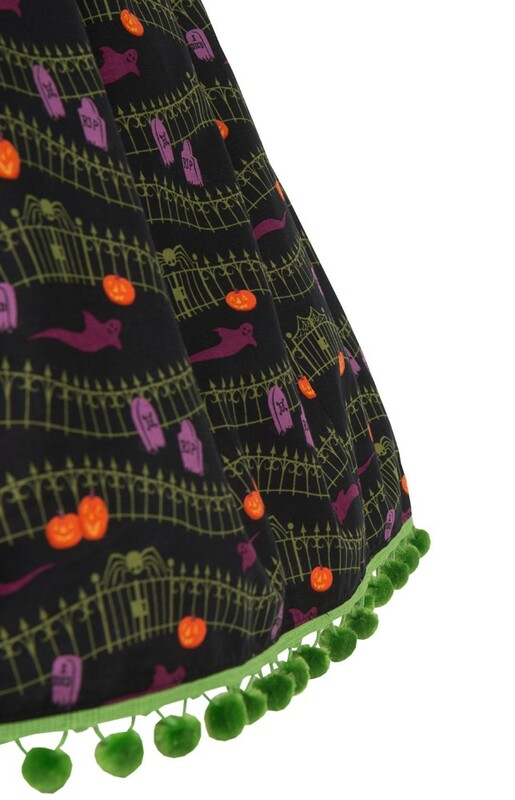 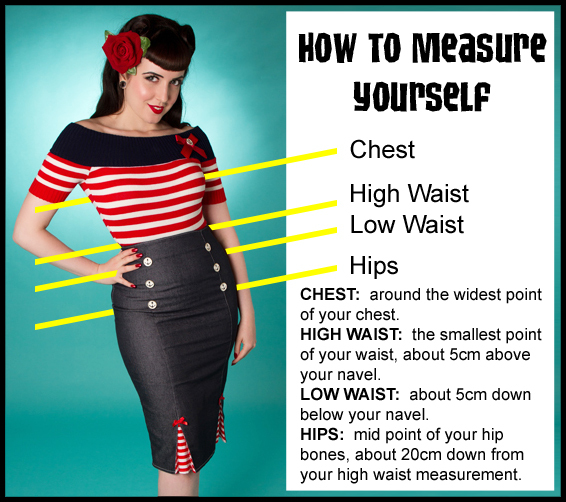 The skirt has a discreet pocket, perfect for your phone, lippy and other essentials! 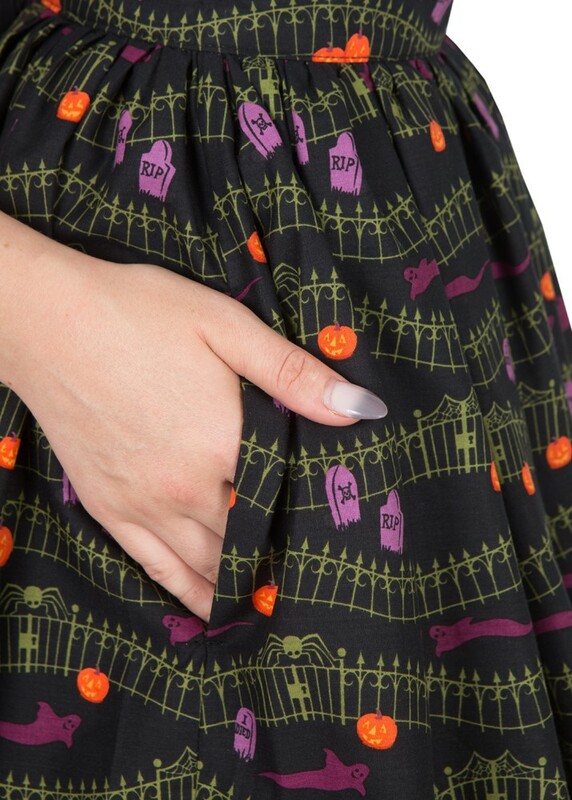 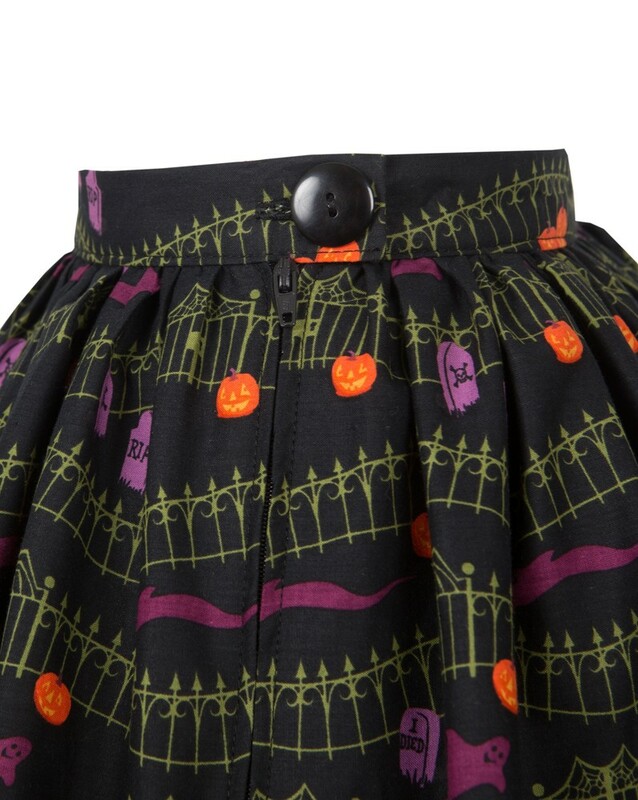 This skirt isn't just for Halloween, it's for all year round horror fans!